While walking through the Baltimore VegFest, I stumbled across a guy selling lots of appetizing raw goodies. Quite honestly, anytime I see raw flax crackers and kale chips, I am immediately drawn to them. The company is a small, family-run business called "New Family Naturals" that is based in northern Virginia. They have been selling their natural snacks at many farmer's markets in Virginia and most recently signed a lease to open a store in Reston, Virginia. They plan to open on August 1. Very exciting! All of their products are considered raw as they are dehydrated below 115-degrees and are gluten-free as well. I got a sample pack of their products and absolutely loved all of them! They make a bunch of simple, dehydrated fruits such as dried bananas and apples as well as veggie chips. The dried apple slices and banana slices were so incredibly fresh and tasty that I actually think I prefer them to fresh fruit! And there are absolutely no preservatives! The veggie chips were great too! Think fresh, dehydrated cucumbers, zucchini, red bell peppers, and tomatoes -- these are so much better than commercially available veggie chips loaded with junk. I just dipped them in hummus for a healthy snack. The Thai Spice Trail Mix consisted of pumpkin seeds, sunflower seeds, and raisins along with spices. I was surprised at how flavorful these were. The lime juice was the most prominent taste, but mixed with the spices, it all created a Thai delight! This is a great trail mix. 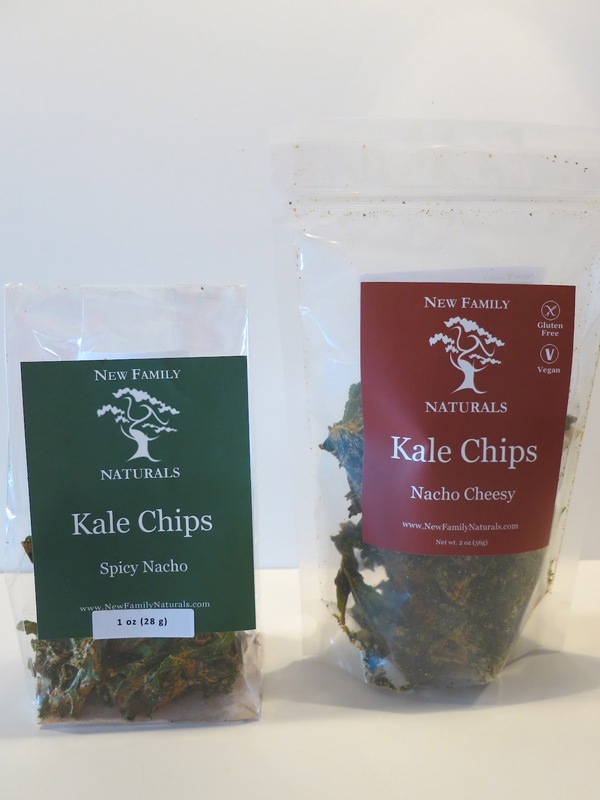 The kale chips were pretty good, but I felt like they should have been spicier. They had a great texture and were coated well, both of which are really important in a good kale chip, but could have benefited from more hot spice. I liked that the nutritional information listed the entire bag as one serving as they are easy to eat in one sitting! My favorite was the nacho cheesy flavor, but they also make a spicy nacho flavor. But, out of all of the products, my favorite were the flax crackers and watermelon candy. I know I write about a lot of flax crackers and, quite honestly, I've liked most of them. But, these are different. They are bound with red bell pepper, which gives them a really nice taste. They come in two flavors -- Mexican Spice, which isn't actually spicy, and Pizza Italiano. I really liked them both. The Pizza Italiano flavor had some pretty unique ingredients for a flax cracker. They are made with red bell peppers, zucchini, sundried tomatoes, tomato powder, parsley, salt, garlic powder, onion powder, and herbs. Both flavors were delicious when paired with hummus. They are thin and had a subtle crunch to them. Lastly, is the watermelon candy, which is made of watermelon - yep, that's it. But, it really did taste like candy. When watermelon is dried and all of the water is removed, it becomes amazingly sweet. I used it as a topping to my vanilla Coconut Bliss ice cream -- sooo good. So, if you are looking for extremely healthy, fresh snacks with no preservatives, New Family Naturals is the way to go. While their products are only available in stores in Virginia right now, you can also order them online here. I'd go with the flax cracker combo if I were you.